Image: A crisp morning, sun thawing away layers of a dreary winter. Meaning: Reincarnation of past styles is upon us. Spring is upon us-I know you can feel it too. Have you noticed how everyday the air seems to heat up just a degree more and that you’ve sported a slightly less Eskimo – esq jacket?? It’s time people. 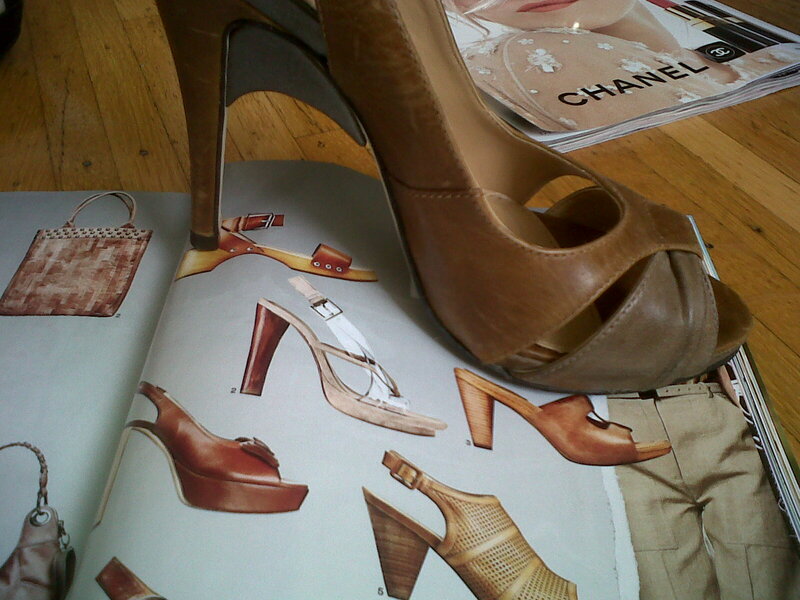 Turn up the heat, get jacked up cus Spring 2010 is not for the color shy. The legendary “Prince of Prints”, Emilio Pucci’s Spring 2010 collection on FTV last night embodied the straight-outta- the 60’s look. This house was made for this season- literally. It was founded in Capris in the 60’s so naturally the collection was inspired and effortless. 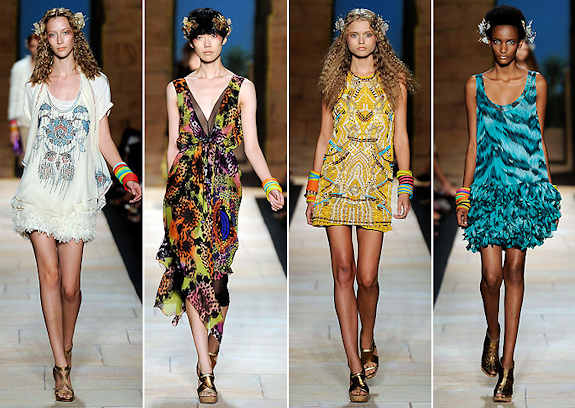 Everything from the floral arrangements in the hair, the bright wood bangles to the kaleidoscope of prints! DVF’s collection was a stand out. K.I.S.S: Keep it simple & sleek- for all those color-shy, pick 1 piece and incorportate it into your current wardrobe, like a new clutch, blouse or shoes.